Apparel boxes are a helpful solution to offering your customers extra packaging for their purchases. 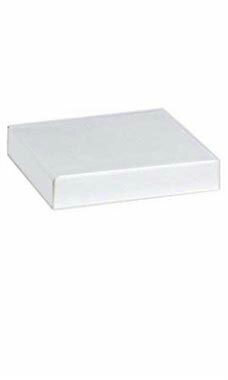 Our 10" white apparel boxes are constructed using sturdy18 gauge white claycoat grey newsback board. These boxes are just the right size for packaging products such as small intimate apparel or books.